This Roulade Pan is perfect for baking a roulade or swissroll sponge. Made from Silver Anodised Aluminium, it features a fixed base and a high quality finish. 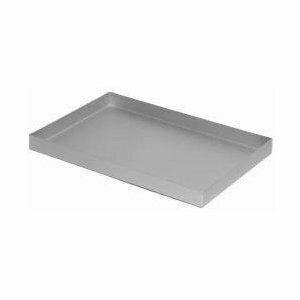 Suitable for a multitude of other uses too, this pan is part of an extensive range of bakeware from British manufacturer Silverwoods. If you have any questions about this product by Alan Silverwood, contact us by completing and submitting the form below. If you are looking for a specif part number, please include it with your message.